The Tundra® 350 is YETI®’s largest premium cooler. 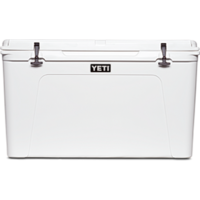 With a whopping 19,000 cubic inches of capacity and enough space to hold 312 litres, it’s built to handle big events and deep-sea catches. 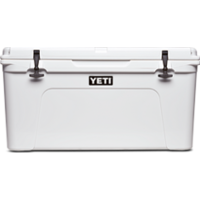 The Tundra 350 is engineered tough from one piece of rotomolded polyethelyne, so it’ll last a lifetime. 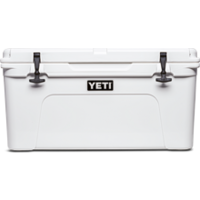 And its PermaFrost™ Insulation, No Sweat™ Design, and self-stopping hinges make storing your hauls and hunts easy. 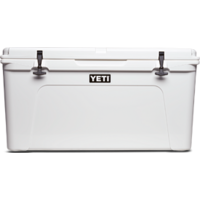 It can hold two freshly caught tuna, up to three elk, multiple whitetail — with the Tundra 350, the only limit is your limit because space is never an issue. 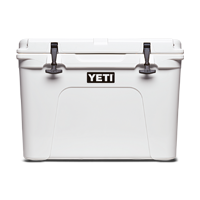 Keep your contents colder longer — with the Tundra 350. NOTE: All Tundra models come standard with one dry goods basket.